Trolls, bots, Russian hackers, fake news, disinformation and lies – 2016 was the year that news seemed to collapse into Hunter S Thompson’s dystopian vision of television as a “cruel and shallow money trench, a long plastic hallway where thieves and pimps run free and good men die like dogs”. Which leaves those of us who still, quaintly, believe in the civic value of good journalism in a quandary: where can we find the truth in a world of “alternative facts”? There’s good news and bad news. The bad news has been much discussed in the aftermath of Donald Trump’s election and the Brexit result. Undoubtedly, the media has problems. Faced with successful political campaigns based on lies, many have lambasted the news for false equivalence and balance. In a climate where politicians increasingly see media as either “with us or against us”, and where expertise is actively undermined, the space for neutral, open debate is shrinking. There is a crisis in print journalism. Newspaper advertising is still falling, newsrooms are being hollowed out, and, in a race for impact, many newspapers are becoming more partisan, fixing facts around political policy. Social media – which many hoped would be a saviour with its open access, extensive reach, targeted advertising and user convenience – turns out to have problems, too. Over the past two years, news organisations piled into distributed content strategies only to discover that the technology companies had interposed themselves between media and audience to cream off both revenue and valuable user data. And there are editorial problems for news online. Social media rewards speed and sensation over accuracy. While it is true that “if you’re first and wrong, you’re not first”, Macedonian teenagers making money from fake news don’t care. BuzzFeed co-founder Jonah Peretti tells us that sharing is the key indicator of user value for media on the internet. He’s not a man to bet against. But, although sharing may reveal what interests the public, it is no indicator of what is in the public interest. Traditional media still carries an inherited sense of the civic importance of news and information. A series of algorithmic misjudgements last year illustrated how tech companies are struggling with that public expectation and responsibility. Social media held such promise for democratic engagement and collaboration, but too much of it has become a noxious echo-chamber undermining the public interest by treating political journalism as a commodity no different to the latest cat video. It is not just the media that has problems: society remains deeply divided and rancorous in spite of repeated urgings from all sides of every debate to “get over it”. This seems unlikely to heal in the short term. Polarised politics and “post-truth” campaigning have proved highly successful in the past year – so we should expect more, along with more shouts of “fake news” directed at anything anyone disagrees with. If nothing else, 2016 showed that, in spite of all that audience research, news organisations did not understand their public in key respects. Public disenchantment with “elites” ran far deeper than they recognised. In return, the public doesn’t understand the media. Levels of media literacy remain low; and trust, even in broadcasters, continues to fall. The sins of toxic media have cross-contaminated even the best – much of the public lumps “the media” into one odorous bucket. So where, in all of this, is the good news? Well, there is a real opportunity here – particularly for broadcasters. As the new wave of populism seeks to rearrange the political landscape and dismiss old assumptions, it provides plenty of meat for journalists to dig into. Weak political leadership and poor accountability should feed a renaissance in investigative journalism. And broadcasters still have the resources to do it. Those of us who have been judging this year’s RTS Television Journalism Awards cannot fail to be impressed by the quality of Britain’s broadcast journalism. Fresh, original investigation on topics outside the main agenda, such as Michael Crick’s pursuit of Tory election expenses for Channel 4 or the BBC’s long-term commitment to investigating mental-health provision. We don’t celebrate it enough. Perhaps unfashionably, I believe that this strength is rooted in broadcast regulation. We will shortly face, I am sure, another round of argument to loosen the impartiality rules that apply to broadcasters – it would be a mistake to do so. From the BBC to ITV, Channel 4 to Sky, we keep each other honest and raise the bar. Far from inhibiting a broad range of views, properly applied impartiality regulation should encourage such views. A glance across the Atlantic at what has happened to US broadcasting since the end of the Fairness Doctrine in the 1980s, which required broadcasters to provide balance, should be sufficient warning not to follow suit. Furthermore, at a time when audiences are questioning who they can trust, regulation should be a differentiating mark of quality from the press and online-only services – offering clear, independent accountability. There are more signs for optimism in the early response of major news organisations to the current moral panic over false news. The BBC’s announcement of a permanent “Reality Check” team to hunt down and flag fake news, as well as fact-check the politicians, is welcome. Fact-checking is clearly going to become a more central part of the news offer – building on Channel 4’s success with FactCheck, and sites such as Full Fact. It is one clear way of increasing the cost of political lying, which currently appears to be too cheap. In turn, news organisations should open up their own methods to rebuild trust. Media, more than is generally acknowledged, has to work to repair its relationship with much of the public. 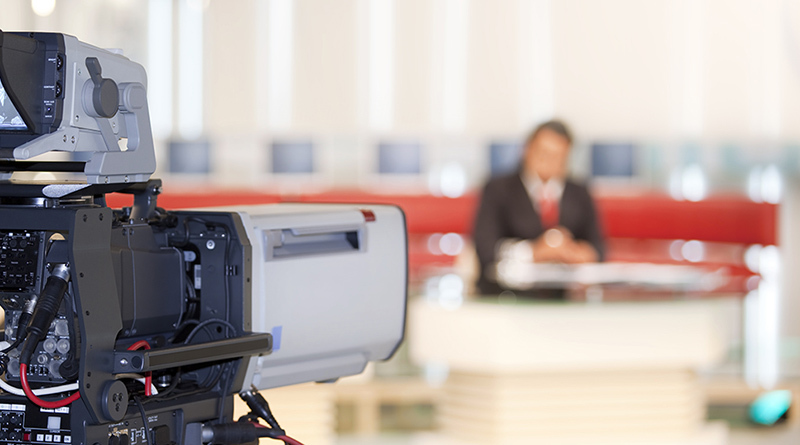 Regional broadcasting’s proximity to the audience ought to help – along with a greater dose of humility. Reuters has moved fast to introduce greater transparency into its news operations. Editor-in-chief Steve Adler says that it is time to “double down” on being good, dispassionate journalists and “open the door” a little bit more on how Reuters obtains and handles information. Other organisations should follow its lead. In broadcasting, many people still judge a devil’s advocate question to be tantamount to betraying the interviewer’s personal view. Or fail to see a distinction between a political editor’s professional judgement and their personal opinion. Journalists have developed a professional shorthand in how they report – understood by those inside their bubble but, I suspect, not by many outside. On Google trends, two of the most searched-for terms in the past year were “austerity” and “populism”. Yet, day in, day out, report after report assumes these and other once-obscure terms are widely understood. Broadcasters could do more to support greater media literacy among the public by explaining the complex world we are now in, as well as better explaining how they report it and arrive at their own news judgements. Greater transparency and accountability are much needed in the current climate of misinformation, political lies and widespread distrust. But, above all, the strength of broadcasting’s case to “trust us, not them” will lie in sharp, confident, fair reporting. That means journalism that is differentiated and breaks from the pack, that is clearly in touch with public concerns and attitudes, and which is confident in holding the powerful to account and calling out lies or spin. These are the qualities that will keep news out of Hunter S Thompson’s media sewer. They are the traditional strengths of British TV journalism – and are needed now more than ever.